The Yonex 8229EX 9 racket bag has a great design that enables you to transform it into a backpack. The bag can hold up to nine rackets in its main zipped compartment that opens wide to make packing and unpacking of your gear much easier. This suitable for different racket sports bag, has also been equipped with a zipped accessory pocket and a convenient shoe compartment. An adjustable shoulder strap and a central carry handle provide comfortable transportation. 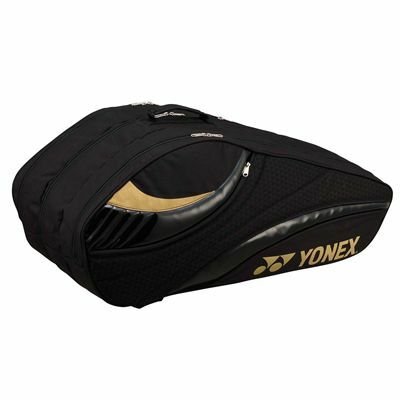 for submitting product review about Yonex 8229EX 9 Racket Bag.